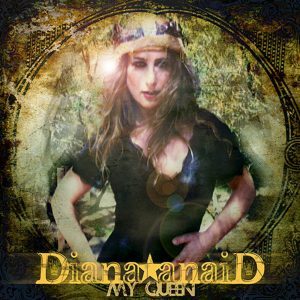 A rocknroll firecracker and fiercely independent musician, Diana’s impossible to pigeon hole, with jagged-edged alt pop and emotional relevance, she’s an inspiration and dynamic powerhouse performer- a totally passionate one-off and stalwart of the Australian indie music scene. With a music career spanning over 20 years that has taken him to festival stages all over the world, multi-instrumental performer, producer and DJ Matt Aitchison—aka Favourite Son—calls the coast of Northern NSW home. 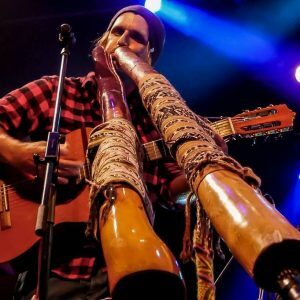 Since his days with globe-trotting world music band OKA, and before that Rivertribe, his music has a sound that is unmistakably his own. Weaving through his music are effortless melodies and warm tropical beats to make you feel good. 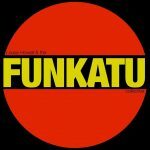 Whether in solo, DJ or full-band mode, Favourite Son’s music always has that easy and breezy feel that will have you riding waves of sonic bliss. 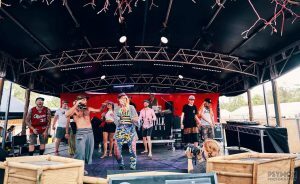 Drop Legs are quickly attracting ever growing crowds ready to party to their psychedelic blend of surf rock and hip hop and reggae. With dank bass lines setting up grooves they are the type of band that have fans going from a two step to a mosh before ending arm in arm singing along to their anthemic hits. 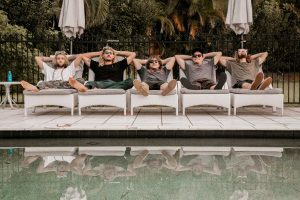 Hailing from Byron Bay, Australia, Drop Legs have built a core following of fans thanks to their energetic party-friendly shows. The last 12 months has seen them play venues and festivals across Europe, New Zealand and Australia including Boom Town (UK), Party In the Paddock, Falls Festival, Island vibes, Sound Splash (NZ), Paradiso (NL) and Madness (NL). NEW SINGLE “WITNESS THE EUCALYPTUS” out April 4. Freestyle Mafia is a highly entertaining and engaging hip hop show that delivers on the feel good, interactive, party rocking vibes that hip hop was founded on. Delivered by a handful of the finest freestyle MC’s and DJ’s, this show gets the dance floor moving with neck snapping beats, rap games and freestyle challenges. Creatively fusing melodies and beats inspired by Reggae, Soul, and Funk, Sol Tradas have cultivated a sound that is firmly ‘outside the box’. music stumbled into my life and offered a new path of direction. over the years it has been a tool of expression, gratitude, healing, sharing and learning. 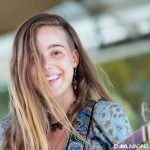 music is the universal language for us all around the earth and i truly believe it connects us, in a deeper way that can be truly explained. i believe in following this deep calling, sharing my heart songs and allowing the flow of music in my life to guide me along the way. what’s your story? Mapstone are a 5 piece powerhouse band. Steeped in conscious lyrics, thoughtful grooves and an energy that is simply captivating. 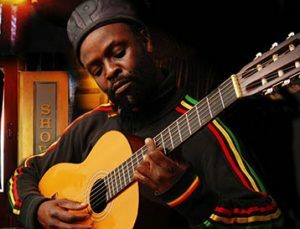 Blending and bending Reggae, Folk and world music into a unique fusion that has been quoted as “Tribal Heart Roots music”. Drawing on influences from Jamaican music, Motown and the South Pacific, The MadTones play an upbeat mix of reggae, ska and soul. Their style is unique and quirky, reflecting the band’s vibrant personalities. The Button Collective is an energetic folk band based in Sydney. Brodie Buttons’ personal and intimate guitar-driven songs are backed by accordion, double bass, banjo, fiddle, drums, and rich, multi-layered vocal harmonies. 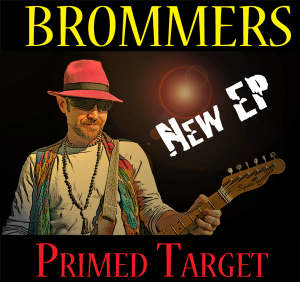 Whether busking on Australian city streets, terrorizing the pubs of Europe and the UK, or traversing Central Australia with nothing but a guitar in hand, Brommers has been dishing out his own unique sounds for the past 15 years around the world. Producer, performer, beat maker and loop layer, B-Syde is a multi-instrumentalist that utilises live production to manipulate and loop audio from an array of instruments, sequence tight drum breaks and manifest chunky bass lines. 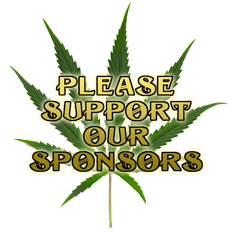 The Pagan Love Cult . . .
. . . is an Australian psychedelic music institution (in every sense of the word). 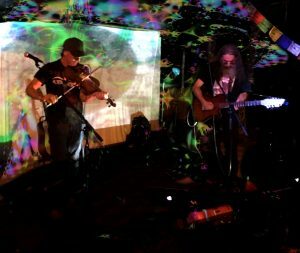 Based in the rainforested hippie town of Nimbin and operating in one form or another since the 70s, they use music and light to explore the juncture between social activism and psychedelic bliss. They are arguably the longest -running psychedelic musical act in Oztralia. 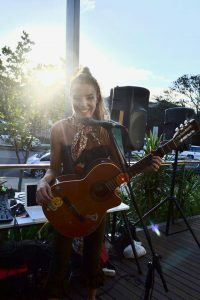 Sarah Stando, a singer/songwriter from the Northern Rivers NSW, she delivers Jazz n’ soul inspired original music, written and delivered with style.